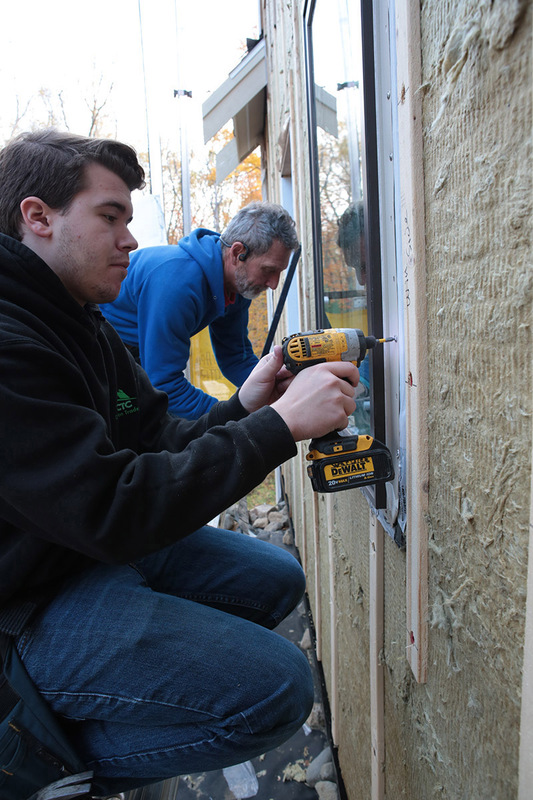 If this is their first experience installing windows, the students who helped on the FHB House will have learned the importance of getting it right from the right guy. 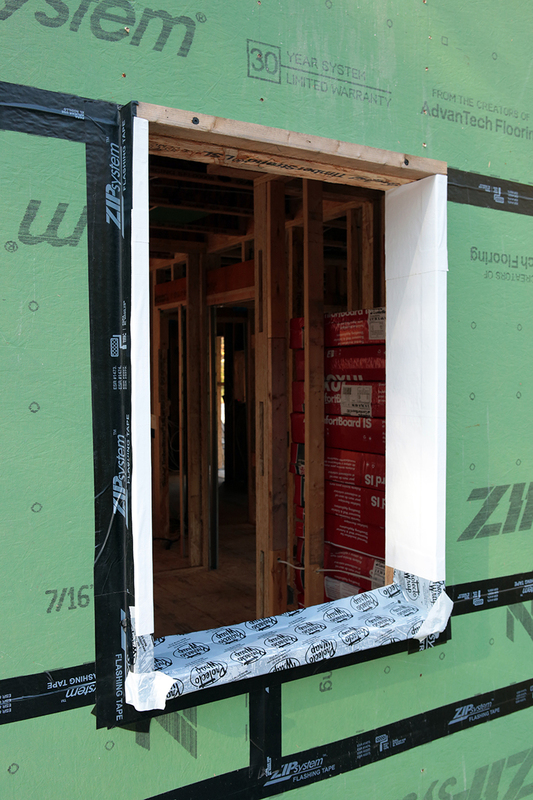 Builder Mike Guertin says that he spends “… an extra 15 to 20 minutes on a window … to make sure we’re getting an excellent air seal because that’s going to give us the most bang for the buck.” And air sealing is only one of the goals of an exceptional window install. The other important actor is to manage water. Though there are a few ways to install windows in thick walls, Mike taught the students to set them in plane with the siding and trim. 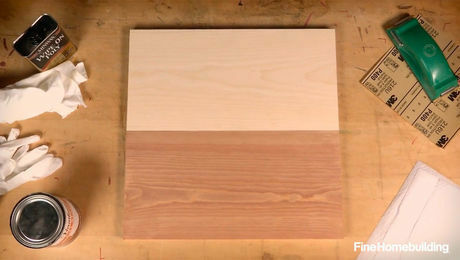 Let take a look at how they did it. 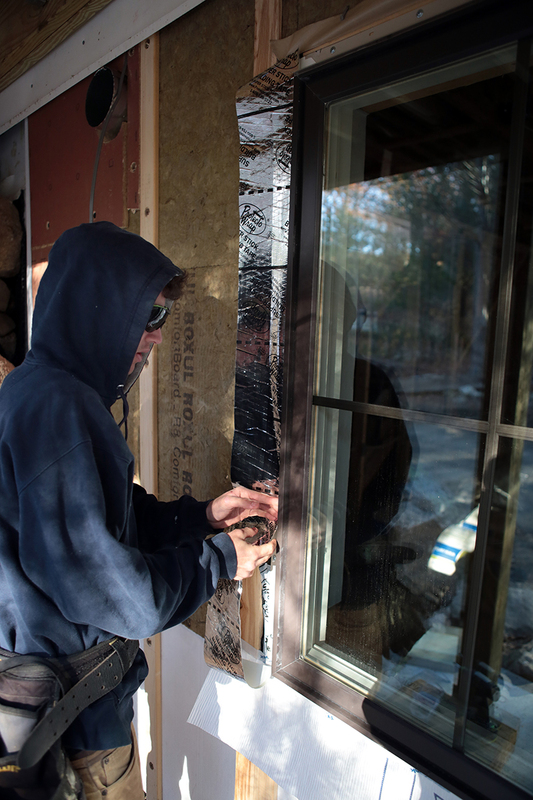 The process starts by installing a window buck made from ripped framing lumber to fur the window out from the sheathing. The rough opening was framed 1/2 in. 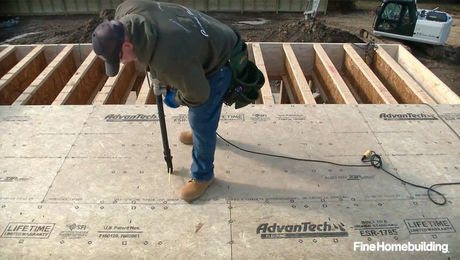 taller than necessary to fit a piece of beveled siding on the sill to create a drainage slope. 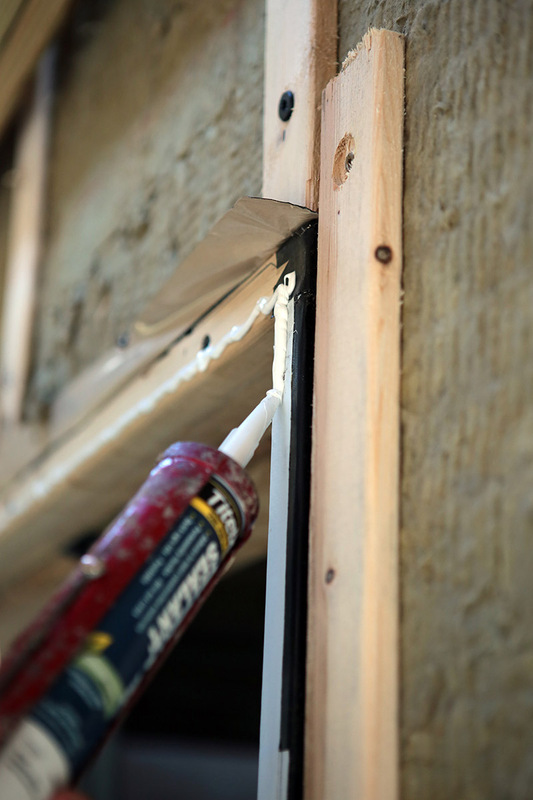 The rough sill is covered with ProtectoWrap sill pan flashing and the jamb sides are covered with air sealing tape. 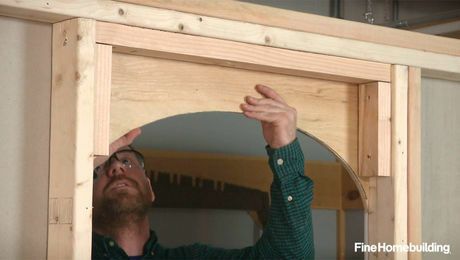 The students spread a bead of caulk along the top and sides of the buck before installing the Marvin Integrity windows. 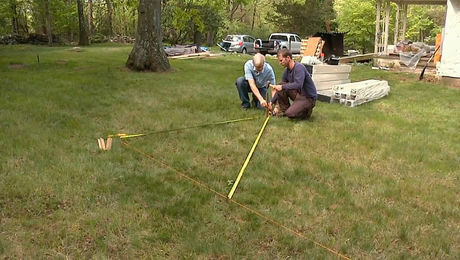 Like always, the windows must be installed level and square. The flanges are then screwed to the window bucks. 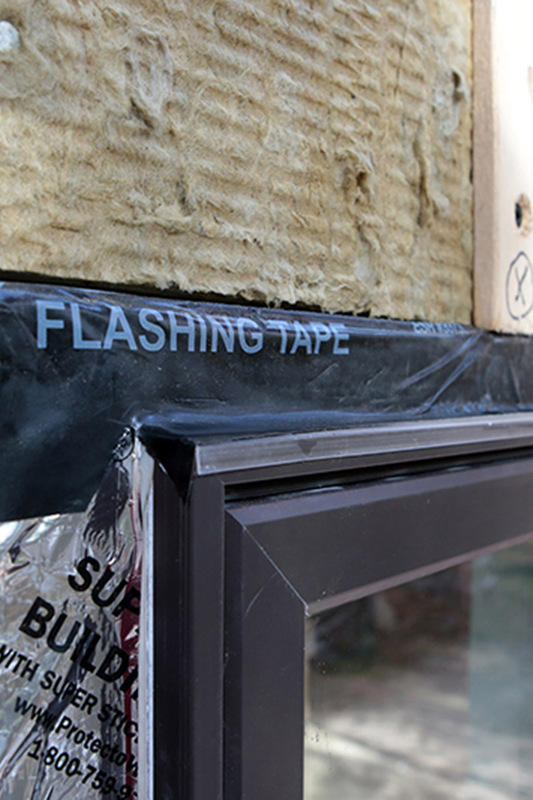 Allowing any water that does get behind the flashing to drain, the bottom window flange is not sealed with caulk or tape, but Mike did instruct the students to tape a skirt made of house wrap to the flange hoping that it will shed wind-driven rain. The flange sides are flashed with ProtectoWrap tape. 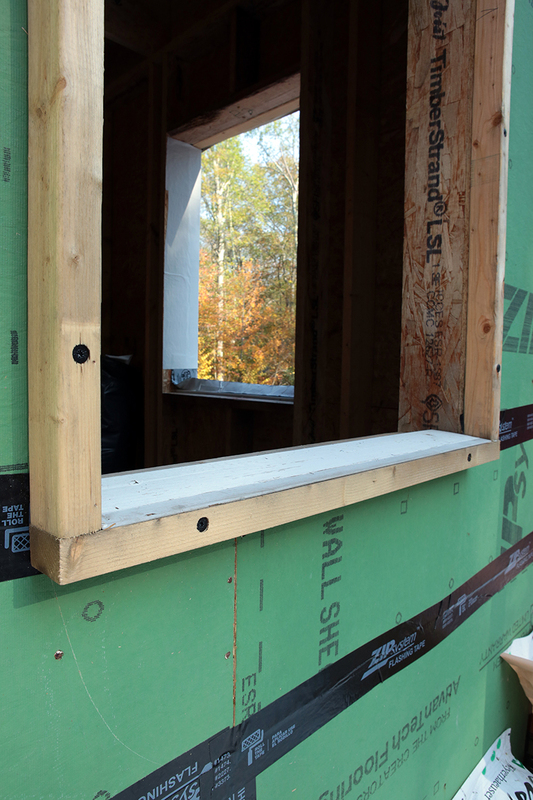 The last piece of flashing is slipped behind the rigid insulation and lapped over the window’s top flange. 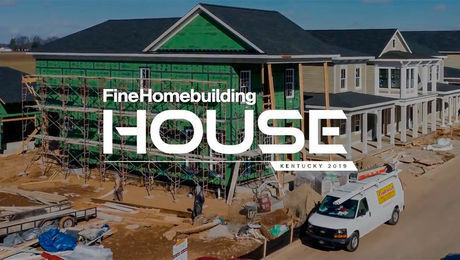 Click here to watch Mike discuss FHB House window installation.